A pain stricken wolf pack are struggling to survive and howl of the winter winds are coming... along with the Darkness, a horrifying wolf army, which was once but a pup's nightmare, and has become much more. 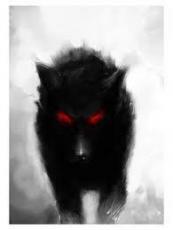 Killing every other wolf in sight the Darkness is becoming a growing fear. With the Darkness and the cold getting closer and closer this pack need a lot of hope. Hope and courage. This page was created in 0.2972 seconds.